Dr. Robert D. Moser earned his Ph.D. in mechanical engineering from Stanford University in 1984. He joined the faculty of The University of Texas at Austin in 2005. Dr. Moser is a faculty member of the Thermal and Fluid Systems program, and serves as the area coordinator for that program. 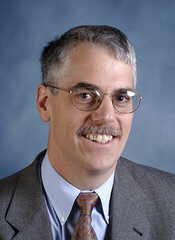 Dr. Moser is also a faculty member in the Institute for Computational Engineering and Sciences, where he is serving as Deputy Director. Finally, Dr. Moser is the Director of the DOE-funded Center for Predictive Engineering and Computational Sciences (PECOS). Using computer simulations, Moser develops techniques to predict and control the effects of turbulence and other complex flows. He attempts to improve the turbulence-prediction abilities of large-eddy simulation techniques, which simulate the effects of the most energetic turbulence eddies while modeling the effects of smaller-scale turbulence. He also uses large-eddy simulation techniques to model external aerodynamic flows. Computer simulation is also valuable to study biological flows. Moser is developing computer models of the human cardiovascular system, at both macroscopic and microscopic scales, for use in the development and evaluation of new therapies. Finally, in numerical simulations of complex physical systems, the uncertainties inherent in such systems need to be characterized, and Moser is working to develop methods to quantify such uncertainties, especially in the context of reentry vehicle simulations. Verification, validation and uncertainty quantification in computational science.